Using 39 of the 66 antennas of the Atacama Large Millimeter/submillimeter Array (ALMA), located 5000 metres up on the Chajnantor plateau in the Chilean Andes, astronomers have been able to detect carbon monoxide (CO) in the disc of debris around an F-type star. Although carbon monoxide is the second most common molecule in the interstellar medium, after molecular hydrogen, this is the first time that CO has been detected around a star of this type. The star, named HD 181327, is a member of the Beta Pictoris moving group, located almost 170 light-years from Earth. Until now, the presence of CO has been detected only around a few A-type stars, substantially more massive and luminous than HD 181327. 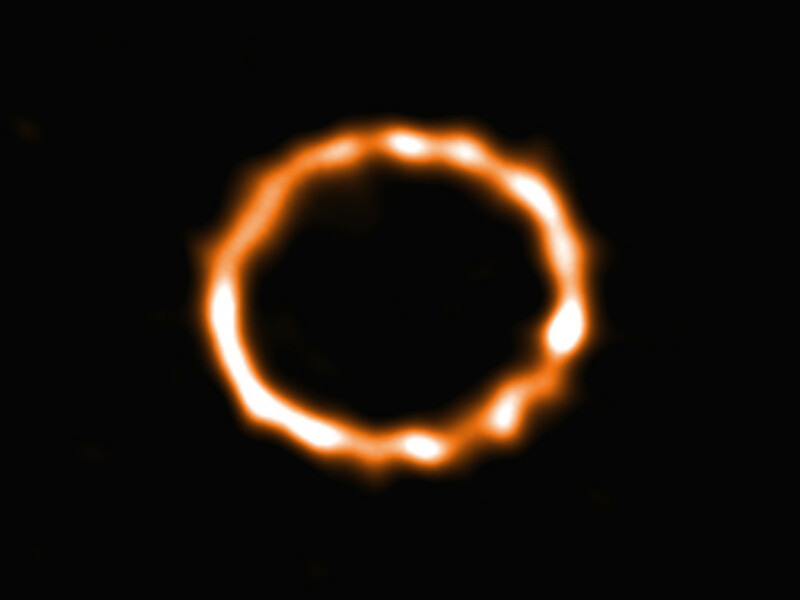 Using the superb spatial resolution and sensitivity offered by the ALMA observatory astronomers were now able to capture this stunning ring of smoke and map the density of the CO within the disc. 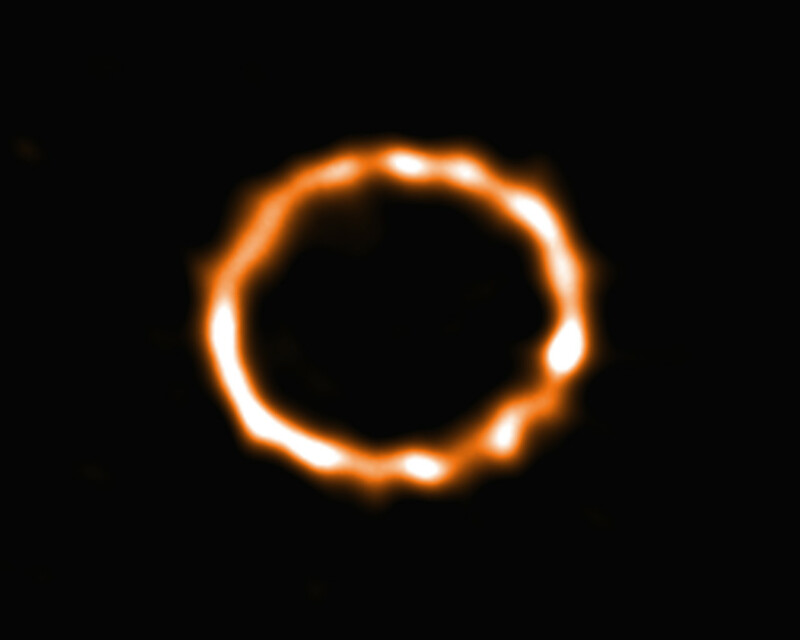 The study of debris discs is one way to characterise planetary systems and the results of planet formation. 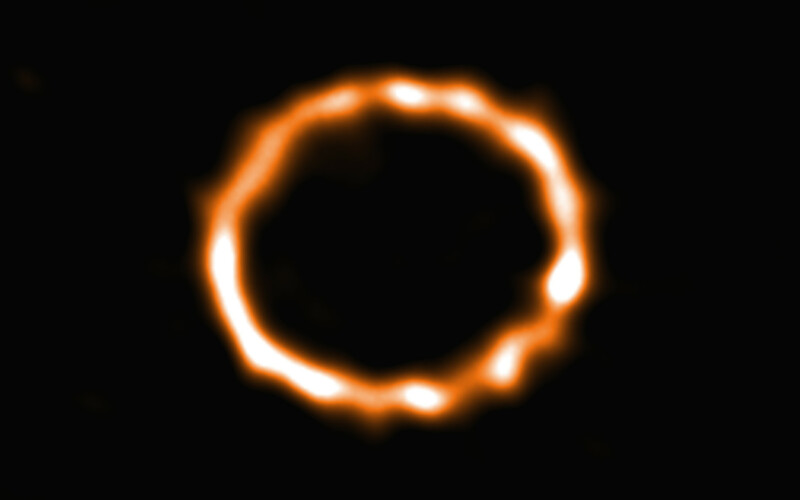 The CO gas is found to be co-located with the dust grains in the ring of debris and to have been produced recently. Destructive collisions of icy planetesimals in the disc are possible sources for the continuous replenishment of the CO gas. Collisions in debris discs typically require the icy bodies to be gravitationally perturbed by larger objects in order to reach sufficient collisional velocities. Moreover, the derived CO composition of the icy planetesimals in the disc is consistent with the comets in our Solar System. This possible secondary origin for the CO gas suggests that icy comets could be common around stars similar to our Sun which has strong implications for life suitability in terrestrial exoplanets. 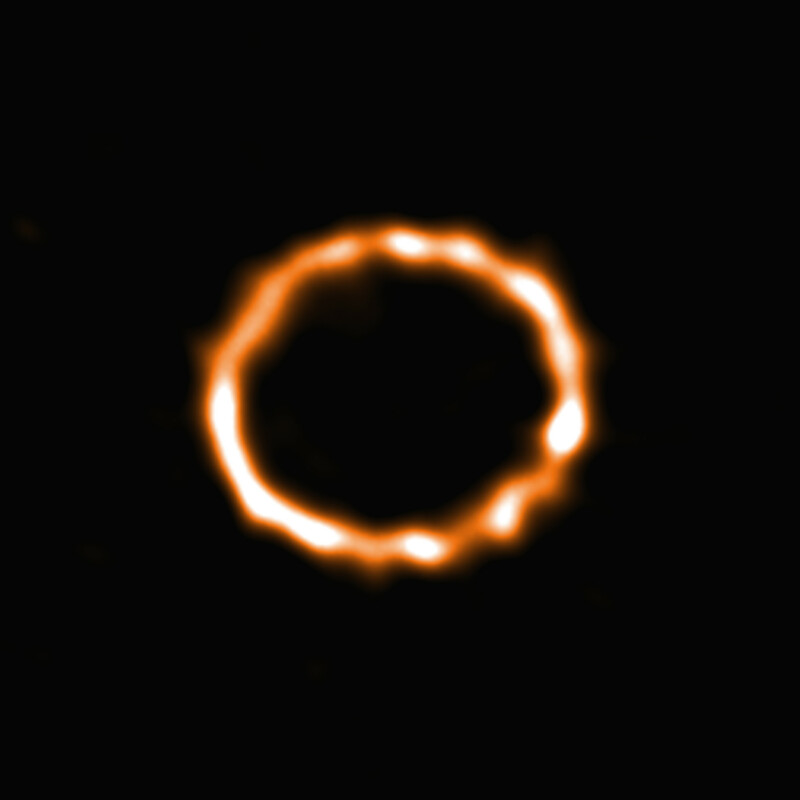 The results were published in the journal Monthly Notices of the Royal Astronomical Society under the title “Exocometary gas in the HD 181327 debris ring” by S. Marino et al. Paper by Marino et al. Position (Dec): -54° 32' 18.21"